Meduza currently has a top 10 UK Chart single - 'Piece Of Your Heart' featuring Goodboys. Found in the deepest regions of house music, MEDUZA have created a melodic, yet energetic sound, set to be the climactic point in Ibiza's ever thriving tale of upfront musical taste making. 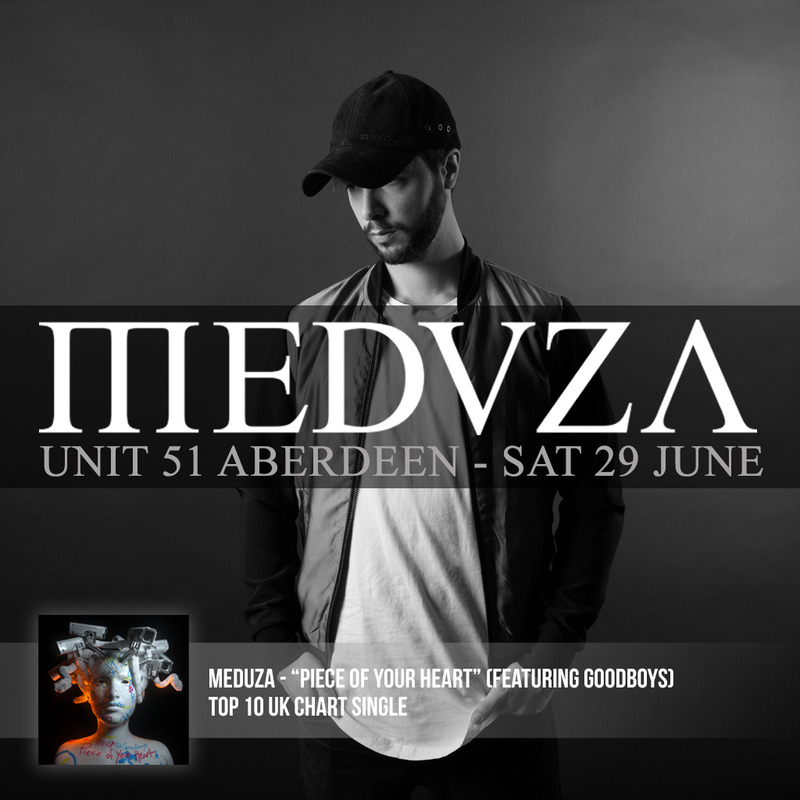 Unit 51 welcomes Meduza to Unit 51 for an Aberdeen debut.